With the new academic year starting, Rézodanse resumes its ballet teaching activities, with a comprehensive programme for children from 4 years old as well as classes for adults and teenagers. 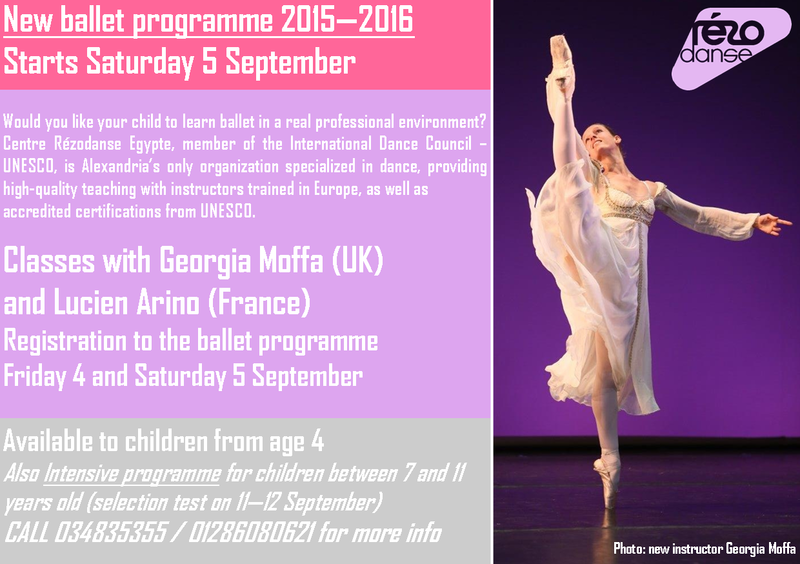 Our ballet instructors, Georgia Moffa (UK) and Lucien Arino (France) will provide weekly classes for beginners to advanced levels, as well as an Intensive Ballet Programme for children between 7 and 11 years old. Get on your toes everyone, enroll now!! !